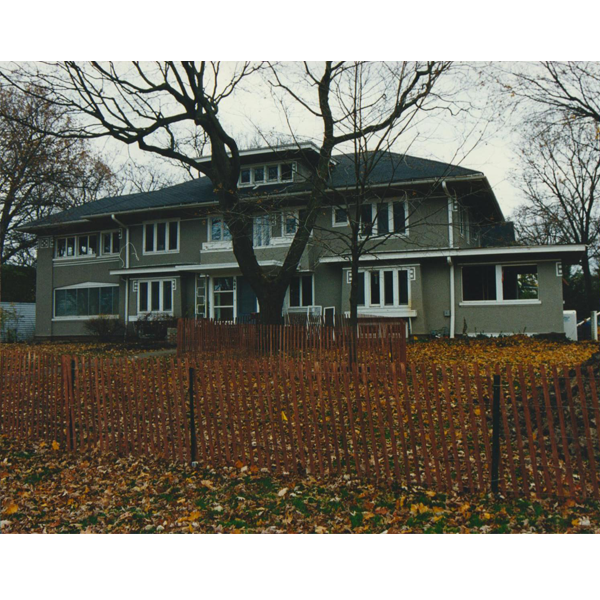 This Prairie School residence was designed by well known architect E. E. Roberts, with landscape by Jens Jensen. Utilizing original drawings and historic photographs the renovations were sensitive to the original architect’s intent. The exterior was completely rebuilt with a sympathetic addition. The interior was revised and completed with the original trims, art glass, doors, light fixtures and period white oak cabinets. The basement was excavated to achieve nine foot ceiling in the new game room, wine cellar and bar. The Jensen landscape was restored and adapted to the expanded plan.